EfVET has been successful in establishing itself as a key stakeholder in education and training in Brussels. EfVET is invited to all the key events/working groups/members events/conference in the area of vocational training and is regularly asked to contribute and consult. All the outcomes and reports are always made available to all members through EfVET newsletter and the EfVET web site. Over the years, EfVET has established good contact with European Commission especially with DG- EMPL (Employment Social Affairs and Inclusion), the unit for VET, Apprenticeships and Adult Learning. In addition to the meetings with policy makers, EfVET tries to be present at other meetings/seminars and receives invitations to conferences, which they are all, opportunities to present EfVET’s points of view. EfVET President, Vice-President, and Steering Committee Team were invited to participate and/or do presentations in thematic working groups, conferences and meetings. The four European Associations of VET providers (EFVET, EUproVET, EVTA and EVBB) and two associations of Higher Education (EURASHE and EUCEN) work together under the banner of VET4EU2. 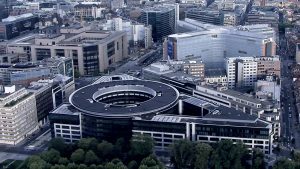 The European Commission responded enthusiastically to the formation of VET4EU2. In the year 2014 the organization has acquired the status of permanent interlocutor for the European Commission. The Expert group of EU Associations of VET providers (2 representatives from of each of the 6 Association participate) meets regularly with Unit E 3 of DG- EMPL (Employment, Social Affairs and Inclusion) to discuss policy issues, initiatives and contribute to research. Additionally, the experts make suggestions, recommendation and propose various actions to be taken, example the VET Skills Week. In partnership with VET4EU2 we commit ourselves to cooperate constructively with the European Commission and help to implement the medium-term deliverables, using the networks to create support at national and grassroots level. This development has led to the invitation of the Associations to participate in Working Groups and various initiatives with a permanent representation. Most often a single representative is allowed and due to heavy demand the load is shared among the Associations. During this year the works of the Working Group on “VET Teachers and Trainers in WBL/Apprenticeships” have continued. There have been 3 meetings in Brussels, two webinars and a policy learning activity in Bonn. EfVET was represented at the meetings by our President Santiago García.The main results of this first year of the Working Group, centered in governance and partnerships, will be summarised in a document called “High-performance apprenticeships and work-based learning. Policy pointers relating to teachers and trainers in the field of governance and partnerships”. This document provides guidance to help policy-makers and stakeholders (e.g. social partners, businesses, intermediary bodies such as chambers of industry, commerce and crafts, professional and sectoral organisations, education and training providers, youth, student and parent organisations, as well as local, regional and national authorities) design policies and practices that enable teachers and trainers to reach their full potential. To feed the debate and revise the existing policies, the European Commission entrusted Panteia to produce a report on Teachers and trainers in work-based learning and apprenticeships. The final report, which will be used for the peer review during the DGVT Conference in Tallinn next October, can be found and downloaded here. ET2020 work programme was adopted in May 2009. The ET2020 growth strategy was built on the previous work programme ET2010 and defines the long-term strategic objectives of EU education and training policies: making lifelong learning and mobility a reality; improving the quality and efficiency of education and training; promoting equity, social cohesion and active citizenship; enhancing creativity and innovation, including entrepreneurship, at all levels of education and training. EfVET closely follows the implementation of this work programme, notably through the support to the organisation of the European Stakeholders Forum organised by European Commission evert year. The ET2020 is an important contribution to the overall EU agenda for jobs, growth and investment, including the European Semester. 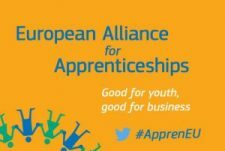 The European Alliance for Apprenticeship (EAfA) is a platform which brings together governments and key stakeholders, like chambers, vocational education and training (VET) providers, regions, youth representatives, think tanks and social partners. The common goal is to strengthen the quality, supply and image of apprenticeship in Europe. EfVET is a part of the stakeholder EAfA since 2013. More than 34 countries have made commitments on reforms and actions to strengthen apprenticeships and 208 pledges have been made by apprenticeship stakeholders across Europe, mobilising some 500 000 youth opportunities. More countries and pledgers joined the Alliance at the conference in Malta 2017. EfVET is a pledger and represented by its Secretary, Rasa Zygmantaite. The ECVET is a European initiative, allowing for the accumulation and transfer of credits gained through the recognition of learning outcomes in vocational education and training achievements in vocational education and training, in formal, informal and non-formal learning. The ECVET was established by the initiative of the EU member states in cooperation with the European Commission. Every qualification in the ECVET system can be described by units of learning outcomes. It makes each qualification more understandable and more precisely defined which makes it easier to understand abroad, as well as in the particular Member courtiers. Students of secondary vocational schools can easily transfer from one education institution to the other or from one education system to another. It would be easy for them to declare the learning outcomes they already achieved and build on them while studying elsewhere. Workers or job seekers are able to more easily transfer their qualifications, or their parts, between their employers, various sectors and as well as between EU Member States. ECVET facilitates the transfer and recognition of learning outcomes achieved through formal, non-formal, as well as informal learning. EfVET and VET4EU2 are represented to the Working Group and User Group by Alfredo Garmendia (EfVET Spanish National Representative) and Annette Kay from ZBC SOSU Sjaelland college, Danish member of EfVET. The EQF Advisory Group has been set up by the Commission to support the implementation of the recommendation of the European Parliament and Council on the establishment of the European Qualifications Framework for Lifelong Learning in 2008. The Council Recommendation on validation of non-formal and formal learning 2012 delegates the follow-up of the implementation of the Council recommendation to the EQF Advisory Group. In 2015 Member States have mainly worked on the referencing of the national qualification frameworks to the European one, on partnerships with third countries and on the monitoring of the Validation recommendation implementation. The EQAVET is a community of practice bringing together Member States, social Partners and the European Commission to promote European collaboration in developing and improving quality assurance in VET by using the European Quality Assurance Reference Framework. The scientific advisors and CEDEFOP support EQAVET and the European Commission in their work contributing in the formulation of up-to-date policy initiatives. VET4EU2 is represented by another Association but EfVET is invited regularly to various events and activities. social policies and improve the delivery of reforms, essentially by enabling people to learn from experience and good practice in other countries. The ESF provide support to enterprises, systems and structures with a view to facilitating their adaption to new challenges and promoting good governance and the implementation of reforms, in particular in the fields of employment, education and social policies. ReferNet is a network of institutions created by Cedefop in 2002 to provide information on national vocational education and training (VET) systems and policies in the EU Member States, Iceland and Norway. Each national partner is a key organization involved in VET in the country it represents. Therefore, all partners are particularly well- placed to offer first-hand information on VETs role, purpose, governance and structure, insights into developments and trends in VET policies, and in-depth analysis of how each country is progressing in its implementation of common European policy objectives. In the Danish ReferNET EfVET is represented by Vibeke Nørgaard. Twice a year the network meets in order to share information from EU on VET, and to collect, analyze and disseminate knowledge and information concerning VET in Europe. You can download here our policy statements and read them carefully. Don’t hesitate to come back to us for any definition or comment!